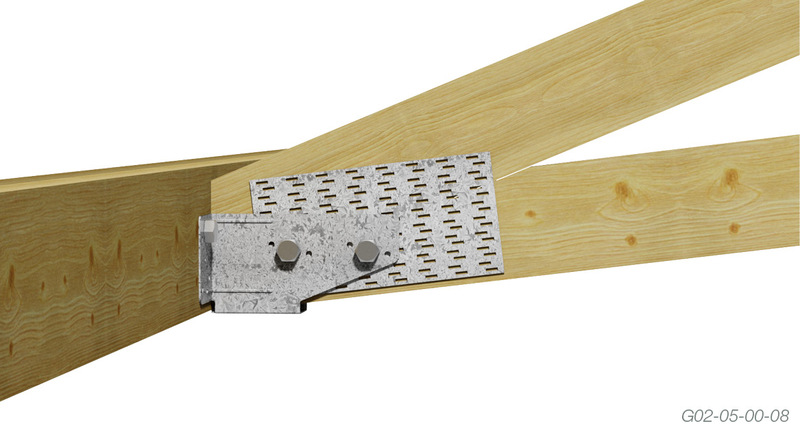 Ideal for supporting scissor trusses or rafters with a ceiling pitch up to 22.5°. Mark on girder bottom chord (minimum 90mm for screw fix and minimum 120mm for bolt fix) location of all Girder Brackets and Hangers. Position Multi Girder Bracket against bottom of girder bottom chord and apply Green Tip #12 screws. Green Tip #12 screws must be applied until the underside of the head is against the Girder Bracket. Do Not overtighten the screws or use power drills that are too powerful for the job as damage may occur to timber, screw or bracket. Green Tip #12 screws self-drill through 1mm plates. It is recommended that the Green Tip Screws are applied in one action. 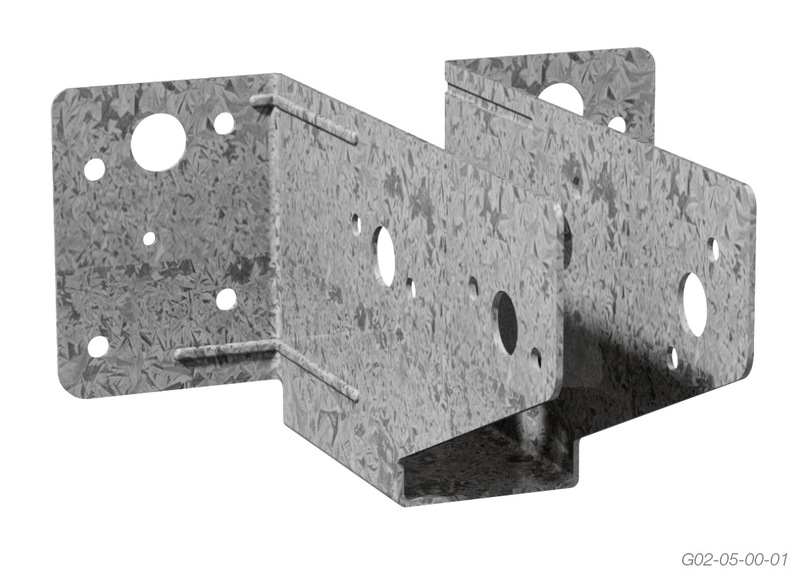 The Multi Girder Bracket is only provided with structural adequacy certificate when used with Green Tip Screws. For bolt application see anti-twist boot brochure for details. All screws or bolts to be inserted prior to roof truss being loaded to avoid rotation. Fix 8 x 35mm Green Tip #12 screws (4 per wing) to girder truss. Double Truss - use 65mm Green Tip #12 screws to girders. 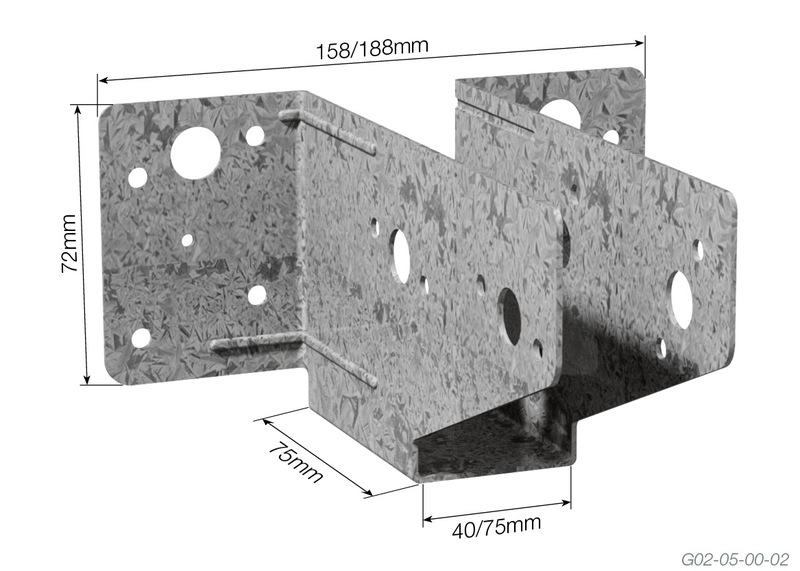 Triple Truss - Use 65mm screws as above and 2/100mm Black Tip #14 screws each side of bracket. 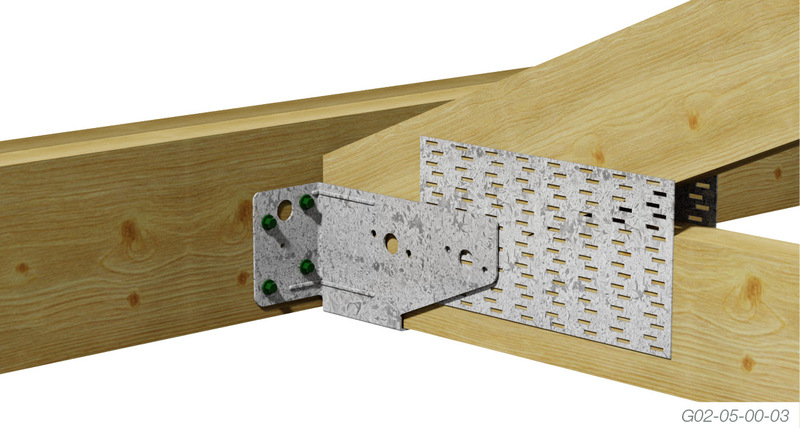 Fix 8 x 35mm Green Tip Screws (4 per side) to supported truss to ensure that the uplift and anti-rotation features of the Girder Bracket is maintained. Start by nailing the Truss Boot in the correct position. Using the two 3mm diameter holes provided. Drill two holes through the girder truss to suit the recommended bolt size. These holes must align with the existing bolt holes in the truss boot. Install the correct size bolts for the truss boot, with the correct size washers. Fit supported truss into bracket, ensure the truss is hard up against girder truss. Fix two 2/30mm x 2.8Ø Multinail nails through truss boot into supported truss. 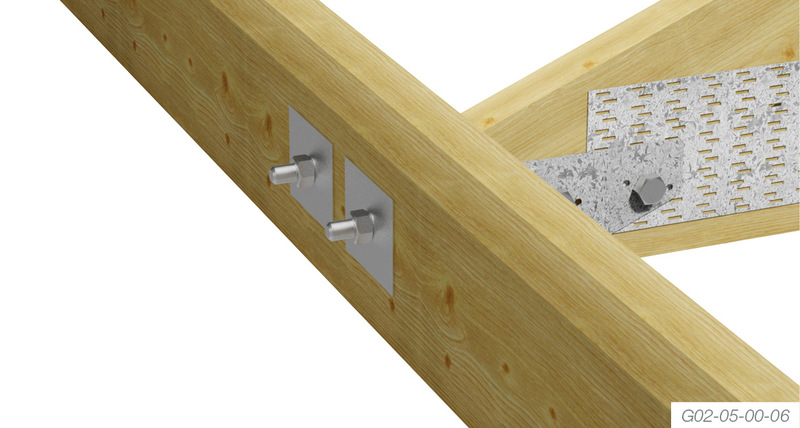 Drill the holes into the supported truss to suit the recommended bolt size. These holes must align with the bolt holes provided in the truss boot. Install the correct size bolts. Tighten all bolts before loading the trusses. 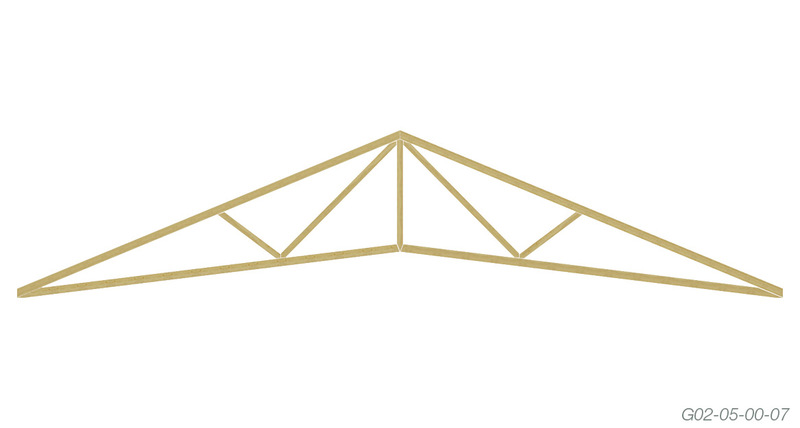 Capacities below are for a single 35mm truss on a single 35mm girder. For other values refer to Anti-twist boot table. .
Girder bottom chord is required to be a minimum of 120mm in depth for M12 bolts Supported truss to be hard into girder truss. All bolts to be inserted and tightened prior to roof truss being loaded to avoid rotation. The joint group and thickness of the girder bottom chord must be checked against all load combinations. The joint group and thickness of the supported truss must be checked against DL+WL. The joint group of the supported truss can usually be taken to be the lower joint group of the top or bottom chord.